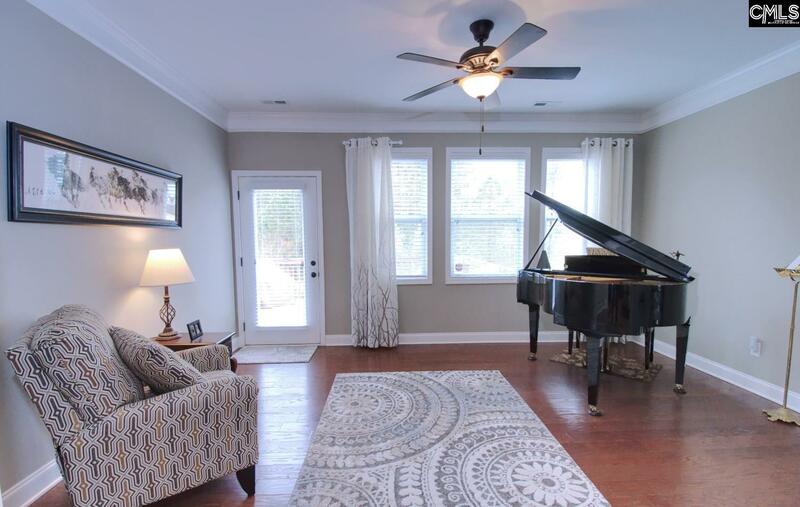 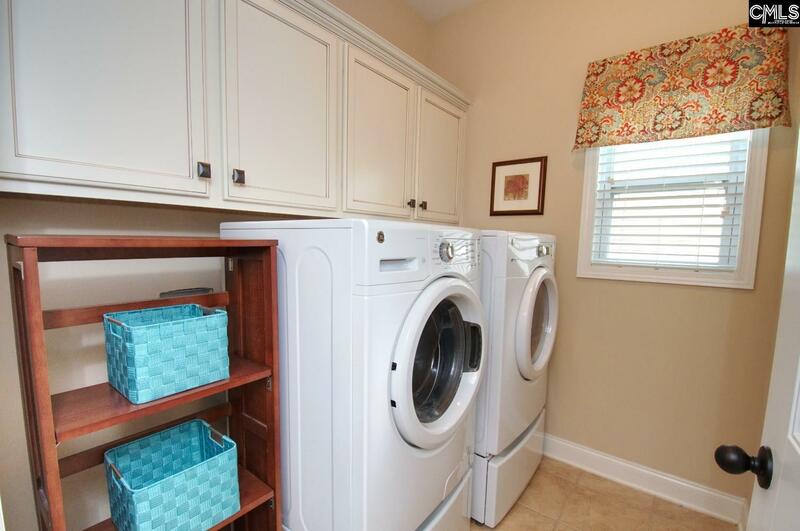 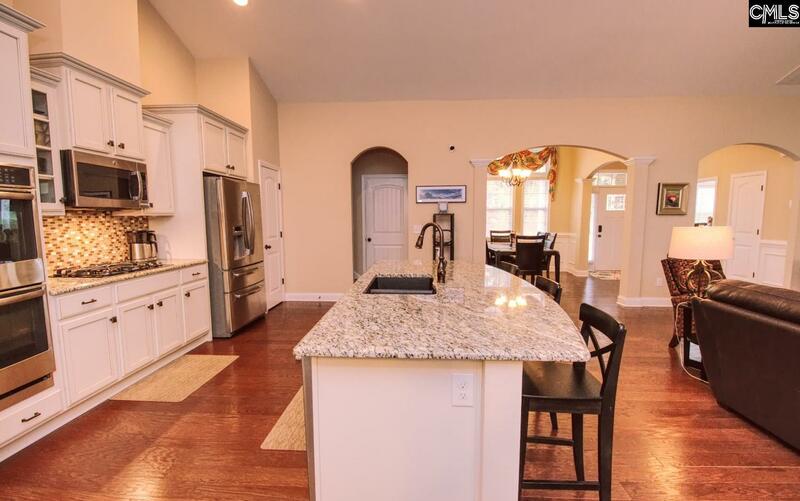 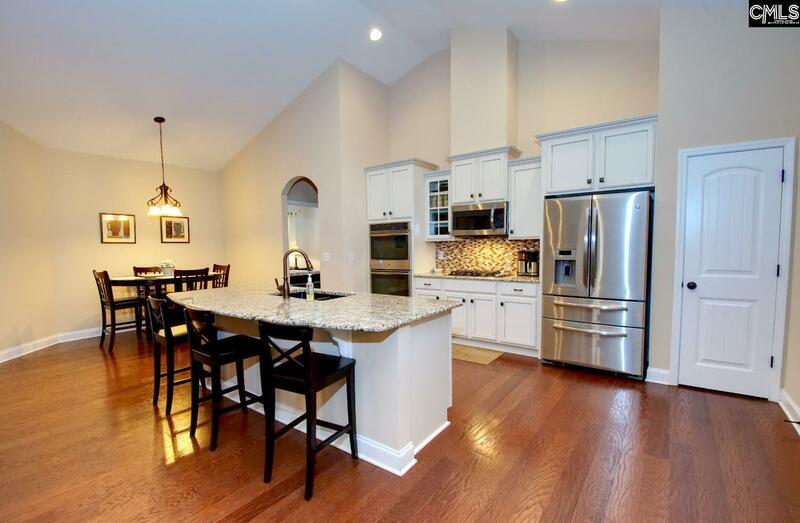 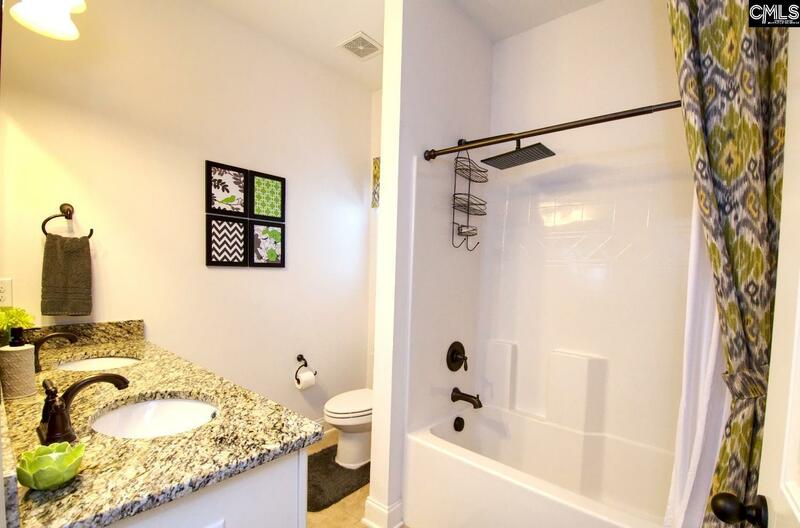 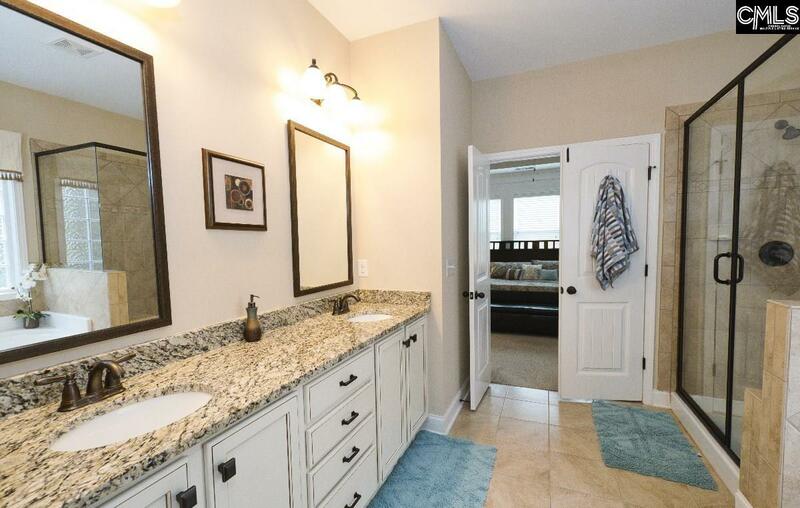 Almost new, move-in ready, gorgeous one story home ( w/ finished room over garage that could double as a BR ) that has what you are looking for: open concept, volume ceilings, designer finishes, hardwood floors, split bedroom floor plan, low maintenance & much more. 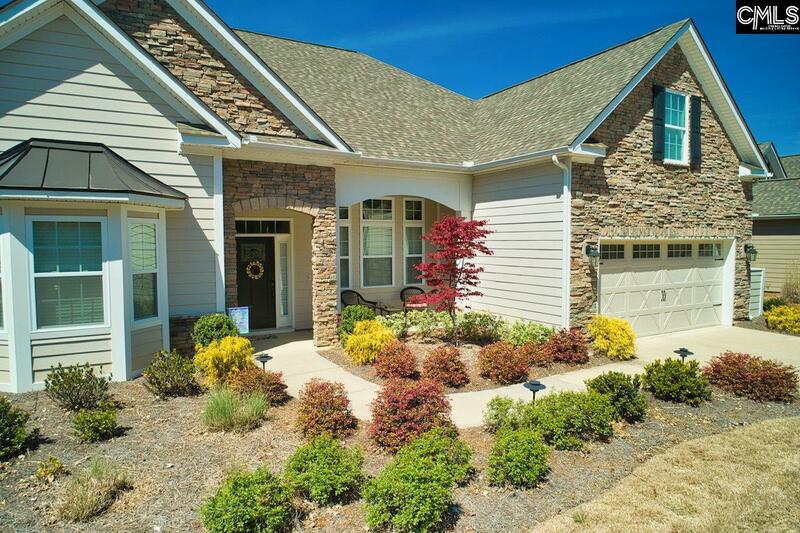 The front of the home boasts stacked stone & a bow front on the left, wide covered entry w/ porch, double car garage & a Japanese Red Maple in front of dining room windows. 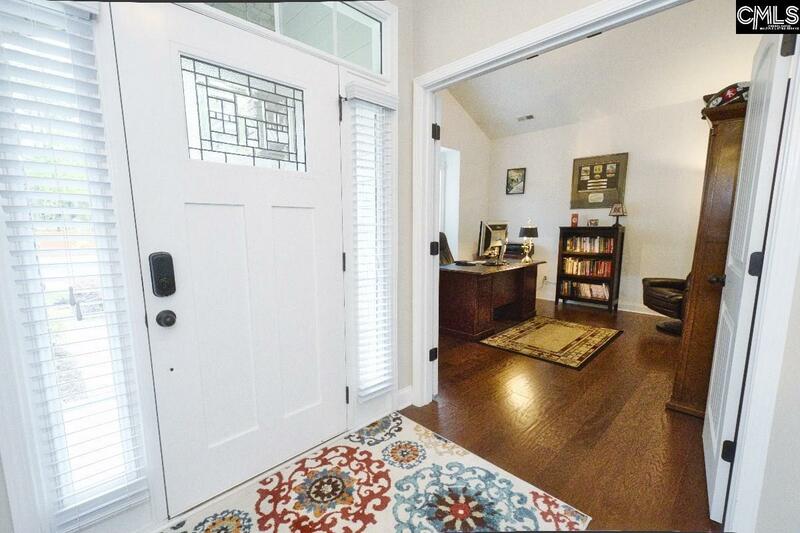 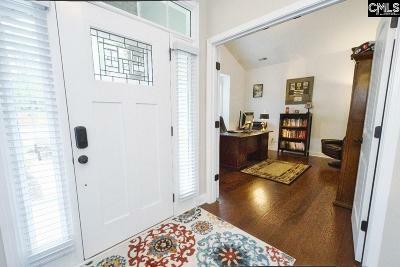 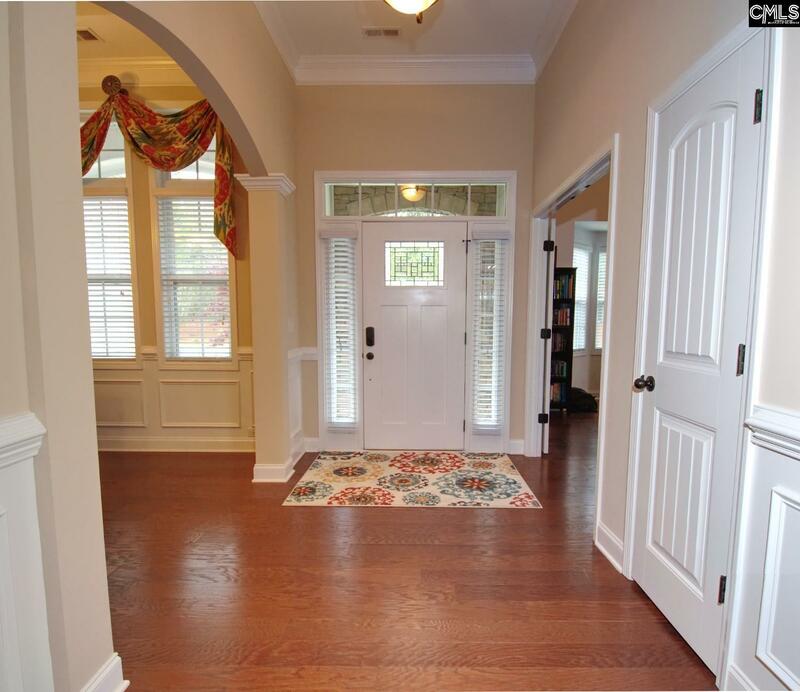 Craftsman style entry door w/ leaded glass opens into a grand entertaining area with hardwood floors throughout. 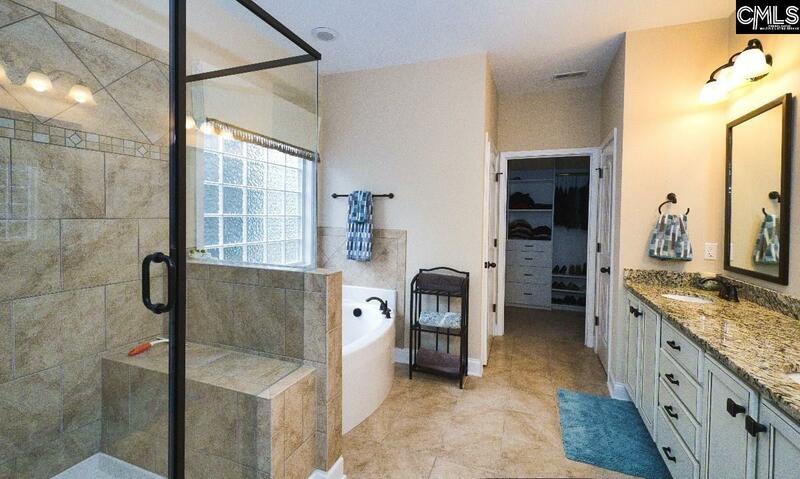 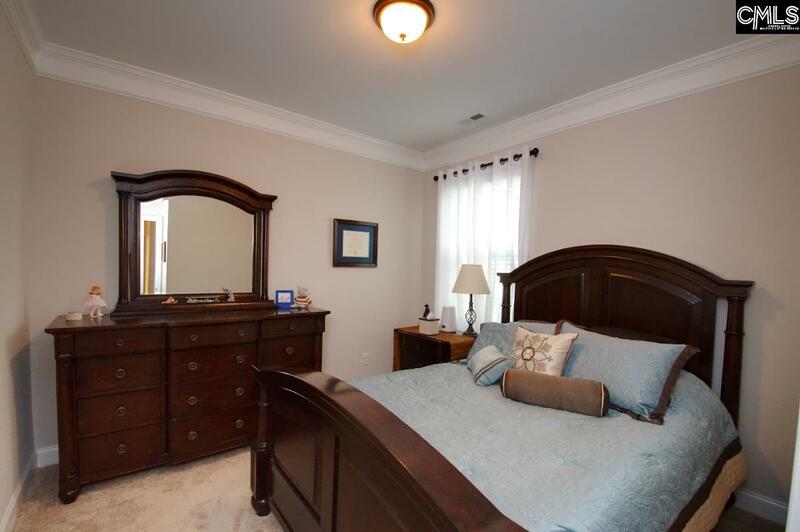 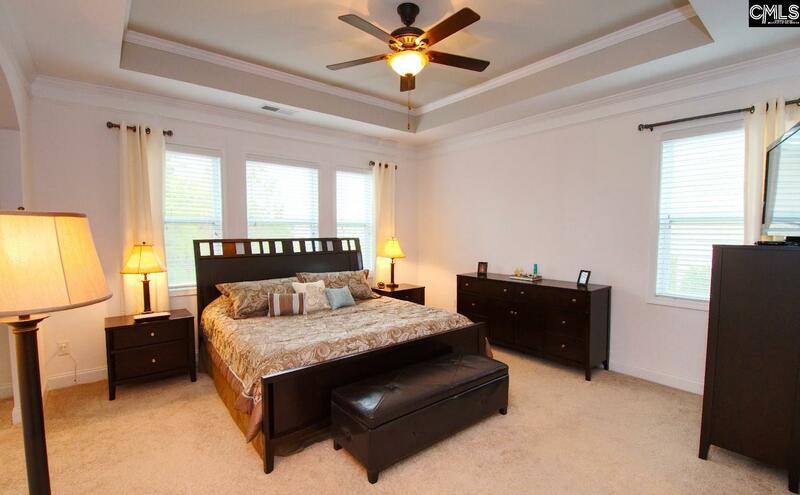 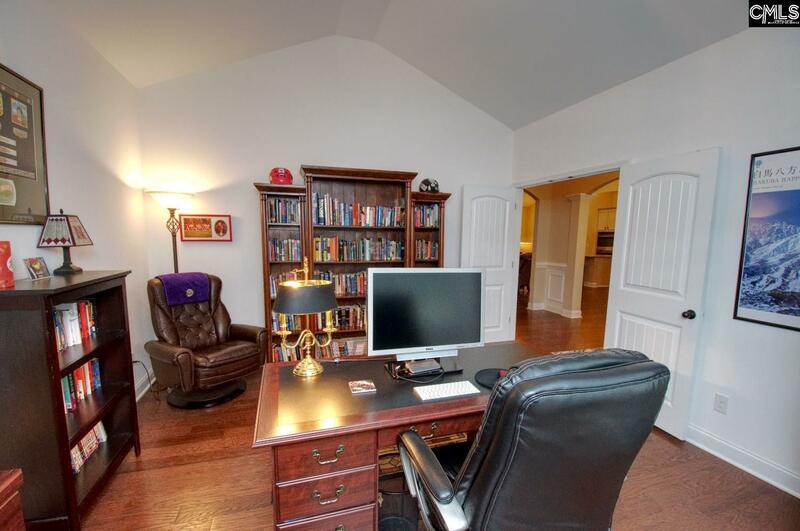 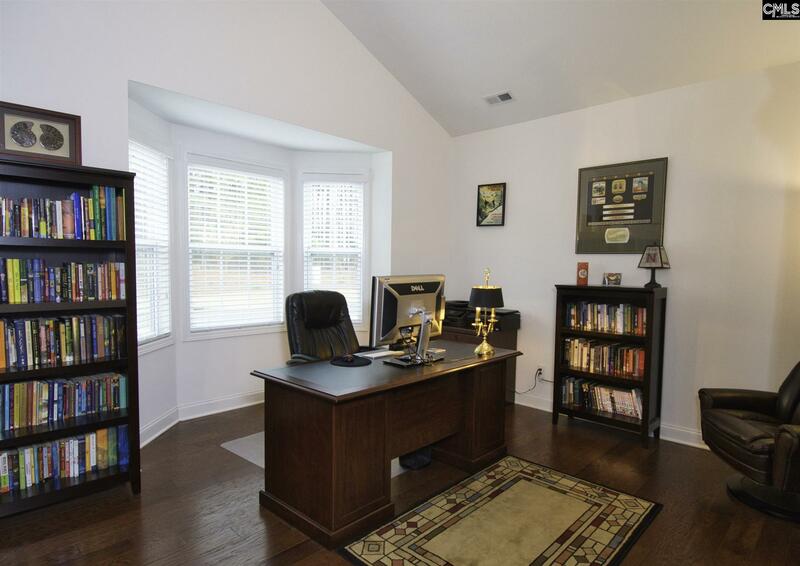 To the left are double doors that open into a dedicated room which is currently a home office w/ cathedral ceilings. 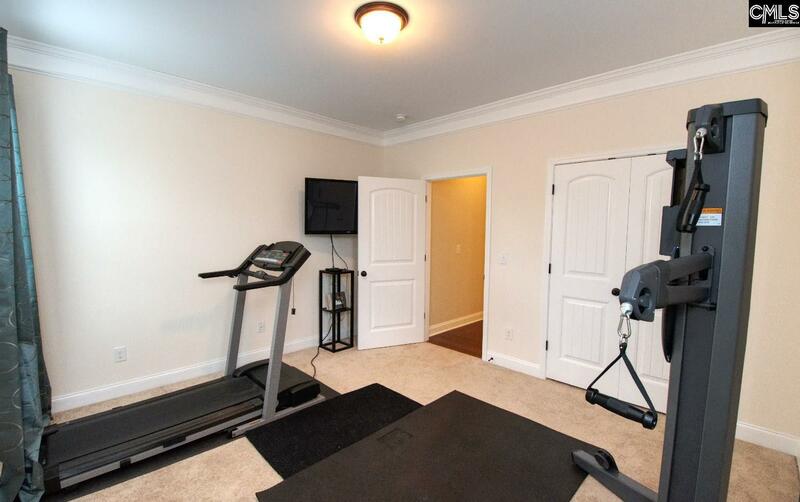 It is a perfect flex room. 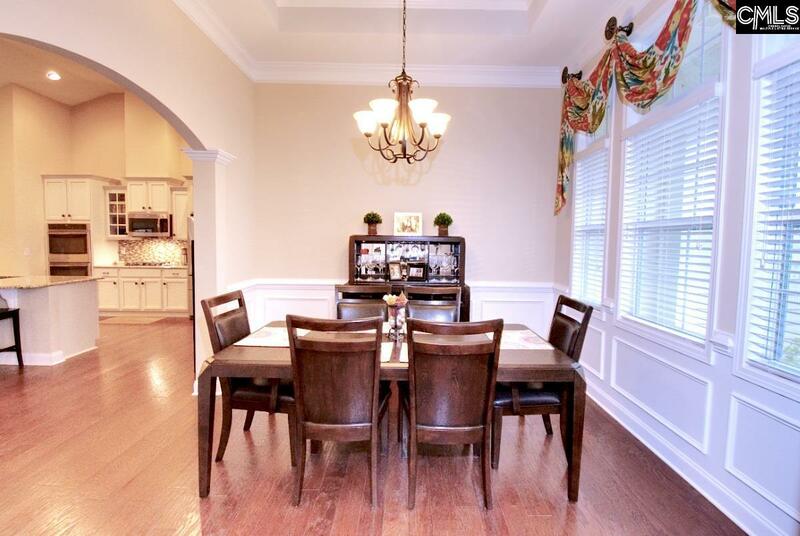 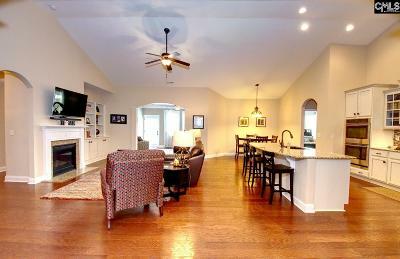 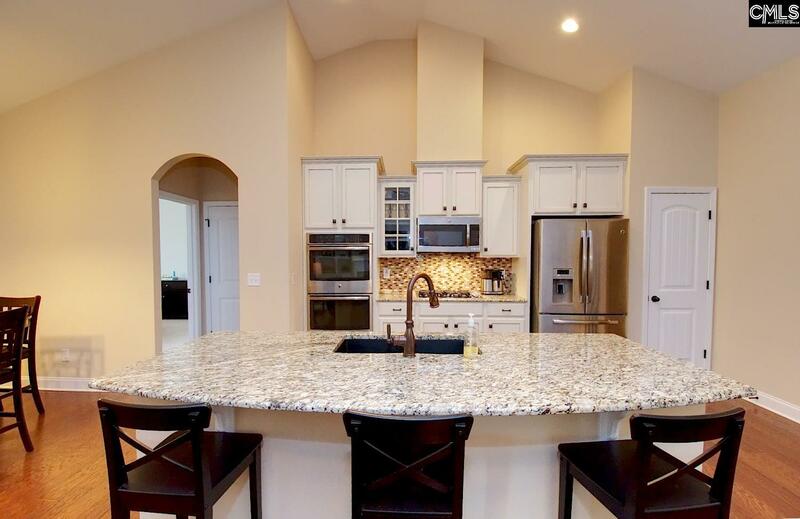 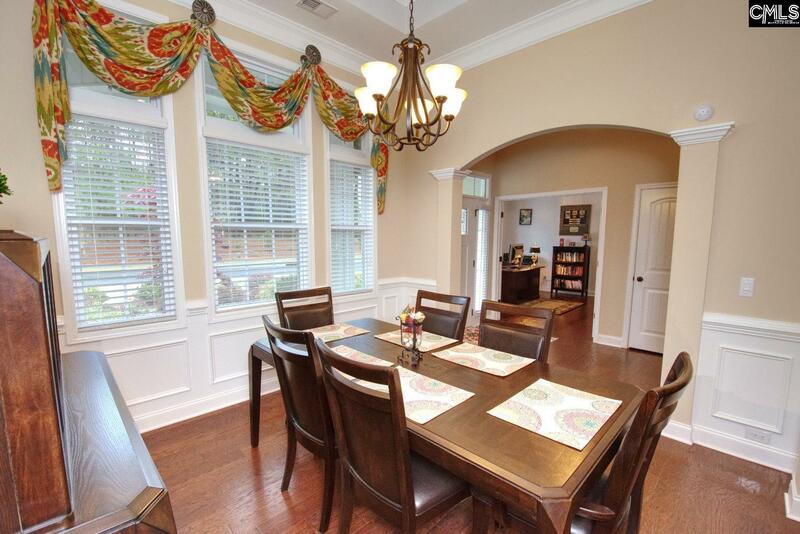 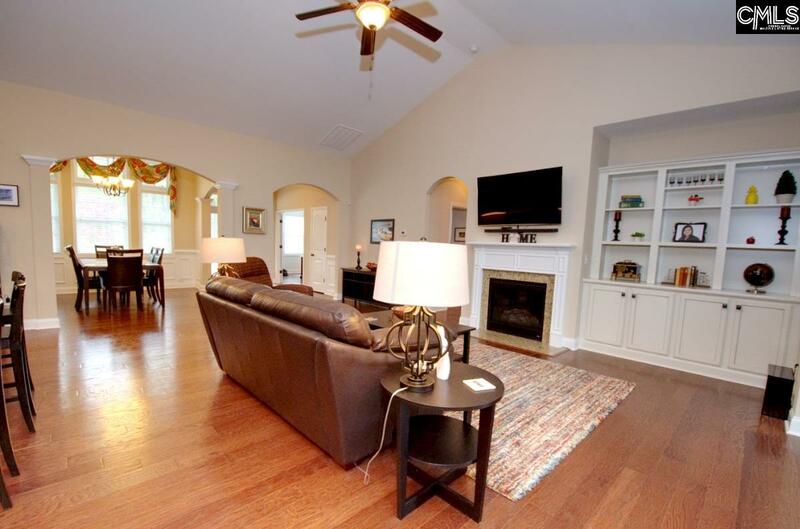 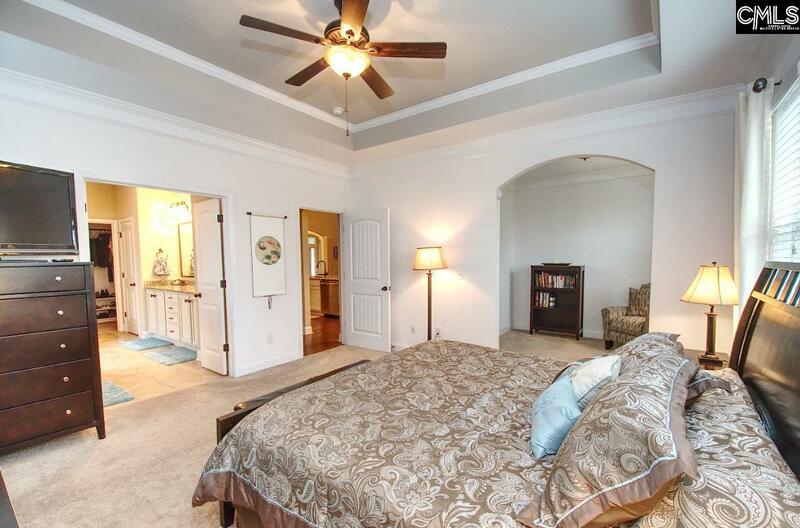 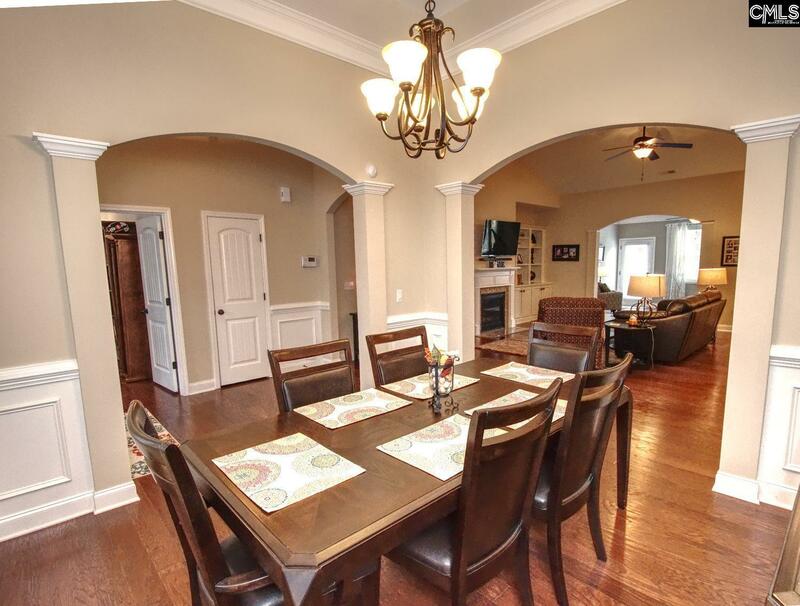 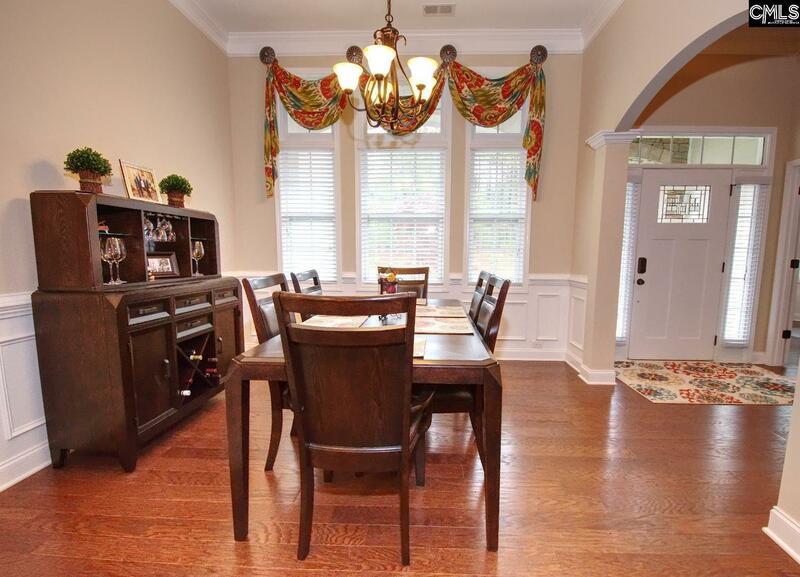 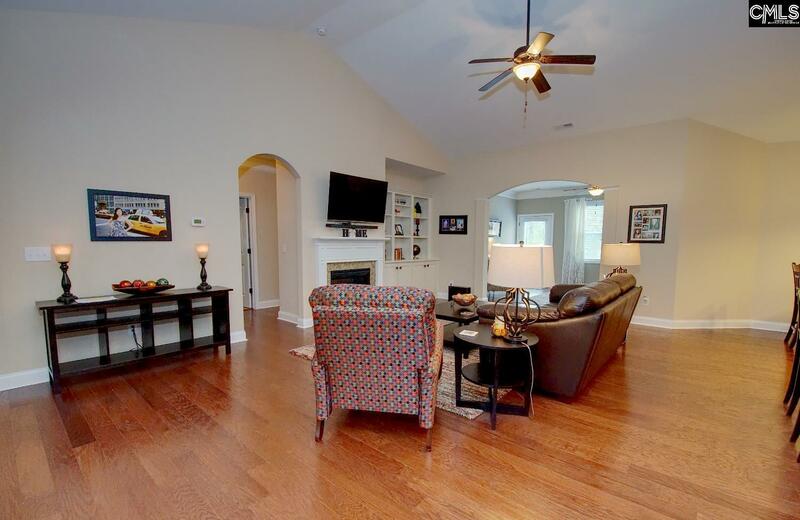 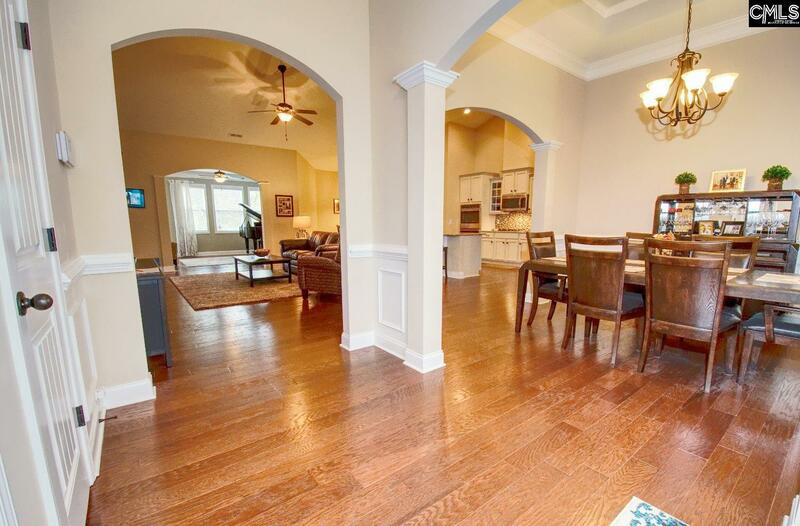 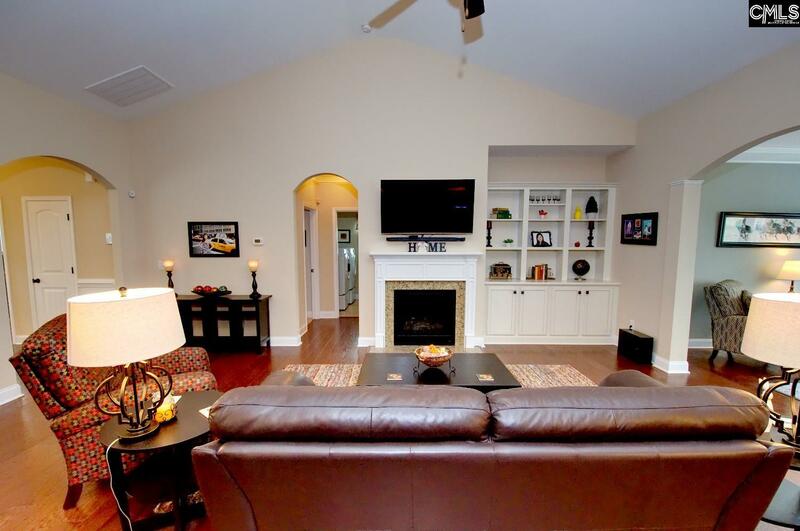 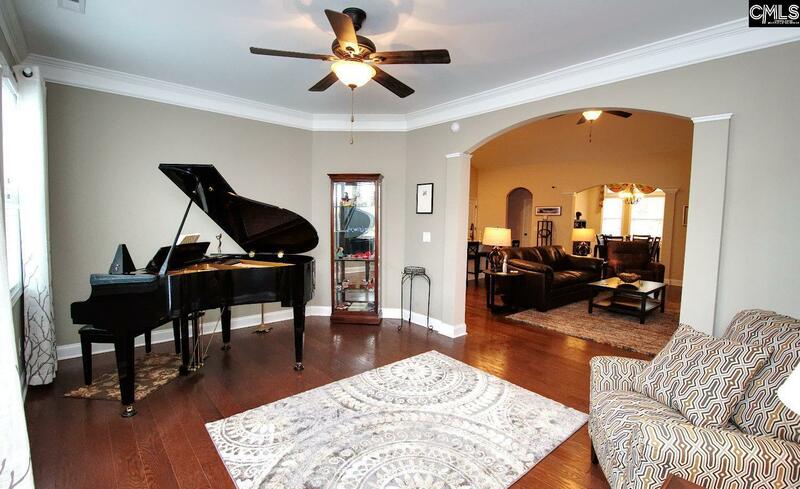 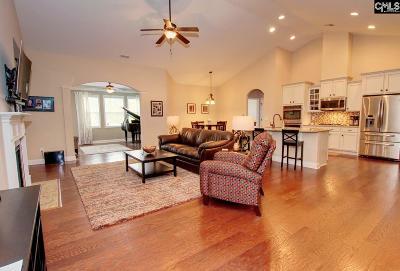 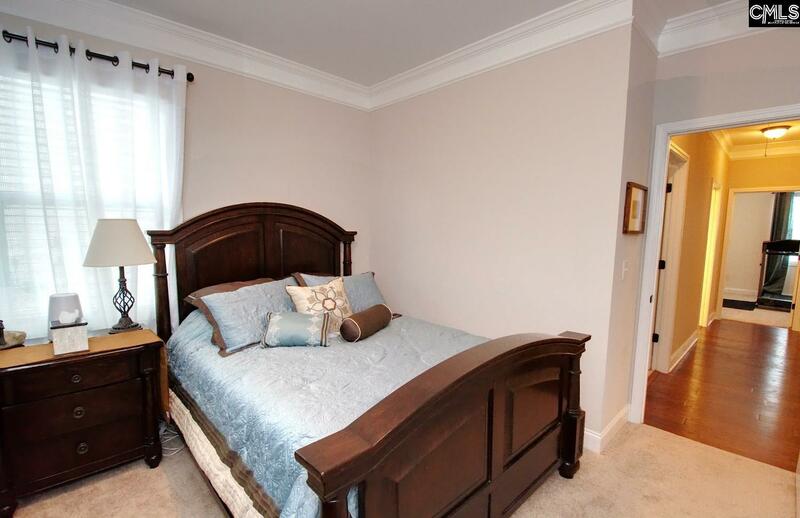 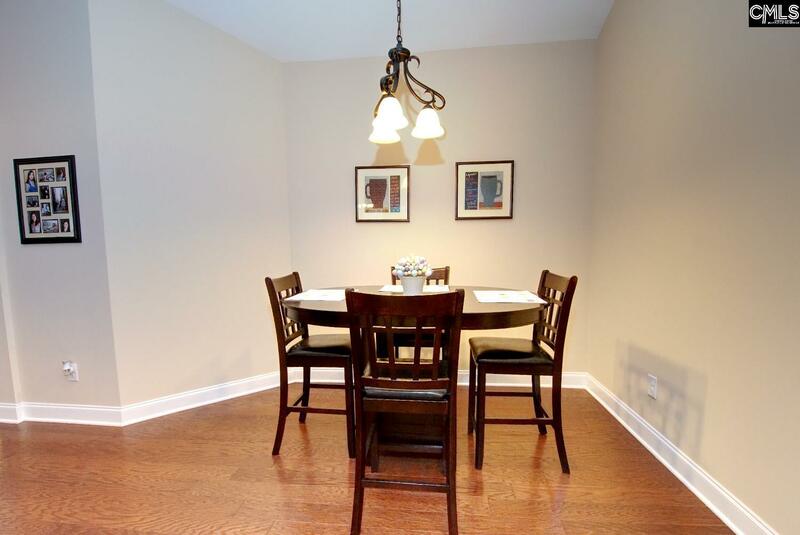 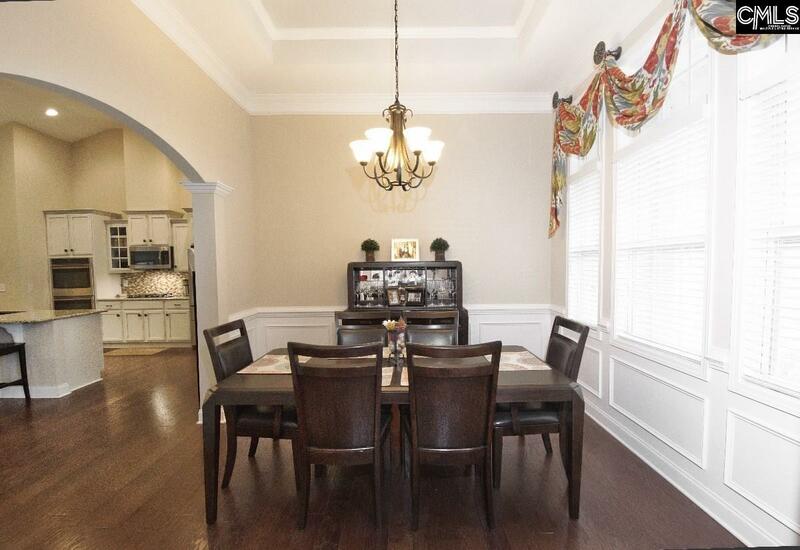 To the right is a large arched opening into a dining area w/ raised panels and volume ceilings. This room overlooks the kitchen and great room areas. 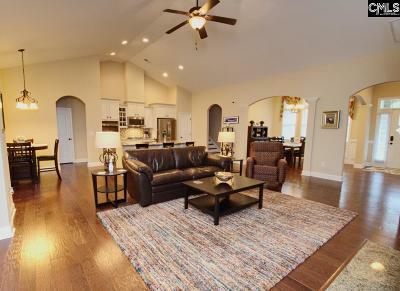 This one won't last long so come and see it today and chose the lifestyle of this beautiful golf course community with resort amenities.